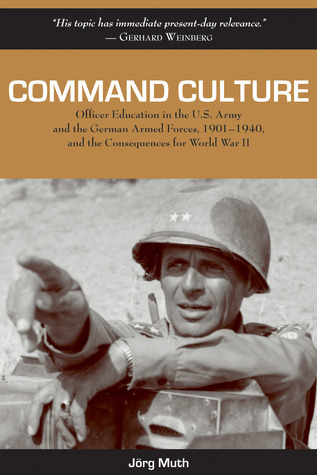 I thought this was a fantastic book Command Culture: Officer Education in the U.S. Army and the German Armed Forces, 1901-1940, and the Consequences for World War II not only the historical analysis of United States and German Armies during WWII and what made them execute in combat but how the training, eduction and selection of officers effected their performance. The books explains the importance of things like mutual trust and auftragstaktik (mission oriented command system) that led to an understanding and acceptance of the need for decision thresholds to be fixed as far down the hierarchy as possible, and for freedom of action at the front line so needed for an effective and fluid observation, orientation , decision and action cycles. With a little thought on how the concepts can be adapted and applied, this book would help shape and reshape any organizational culture needing to be able to make decisions in rapid and evolving situations. Would be a great resource for developing police and first responders organizations with a culture to deal with crisis situations.